Take the Egg and the 1/2 cup of Milk and mix together in a medium sized bowl. Blend with a fork/whip until consistently mixed. Take the bread crumbs and sprinkle a little pile on any plate. Shake the plate until the crumbs lay flat around the plate. Next, take the oil and pour some into a medium size frying pan, about 1/2 inches worth. (Oil 1/2" thick in the pan - Start to medium heat. Organize the Cutlets, Egg mixture, and crumbs in an assembly line fashion. Take one cutlet at a time and submerge it in the egg mixture completely, take it out and let the excess mixture drip off. Then lay the cutlet flat on each side one the Bread Crumbs, coating both sides of the cutlet entirely. (This process goes fast.) Place all the breaded cutlets on another plate as you go. After you're all done, the oil should be ready. 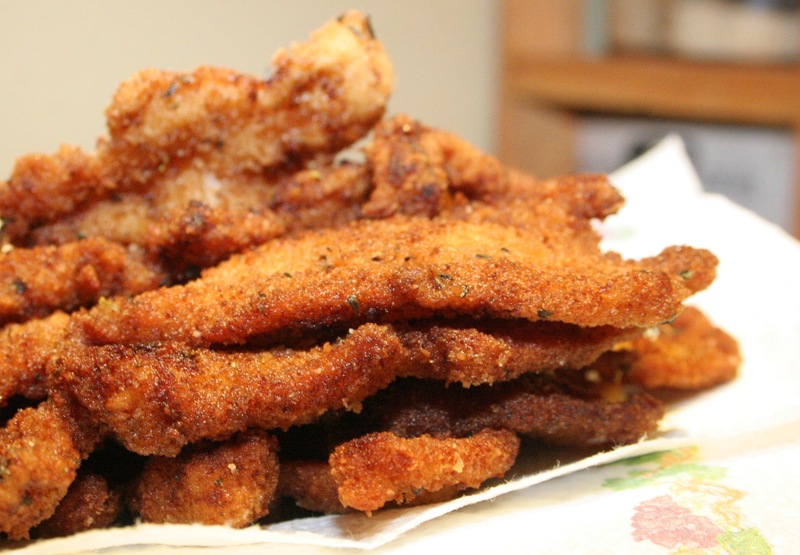 Using a pair of cooking tongs, place the prepared cutlets in the oil to start frying them. The oil should be medium to high heat, not smoking hot. Do 2 or 3 cutlets at a time. Cook only about 1-2 minutes on each side to prevent the Abalone from getting too tough. As you fry the pieces and remove them from the oil, place the cooked pieces on top of paper towels on a plate. Then when you are done frying, pat off the excess oil from the Ab pieces with the paper towel. (remove all that excess oil).